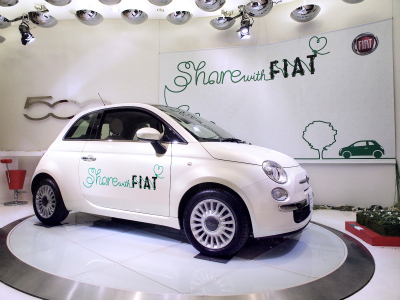 A Big Collaboration between FIAT & Room to Read for “Connect & Spread” Social Philanthropy. It has been decided that FIAT, the automaker known for their fashionable cars with Italian taste, will support Room to Read through their social philanthropy program “Share with FIAT”, A wide range of activities to support the charity are coming up including: event sponsorship, donations to Room to Read programs, and a promotional campaign where users can win gorgeous presents by sharing their “passion for the books” on the website. They will also open a dedicated library at their “FIAT CAFFE” in Kita Aoyama and co-host store events, offer free rental of FIAT cars, and show their support using social media. Details will be updated on “Share with FIAT”. Check it out!